Congresswoman Allyson Schwartz is a tough, skillful, and accomplished legislator with a strong commitment to finding forward-thinking solutions to the biggest challenges facing America. On January 5th, 2011, Schwartz was sworn into her fourth term in the United States House of Representatives where she represents Pennsylvania’s 13th congressional district. The district, which comprises Northeast Philadelphia and suburban Montgomery County, has a tradition of hard fought campaigns and in 2004 National Journal magazine named it one of the nation’s “most competitive.” In past years the district has been home to some of the country’s most expensive races due to the costly Philadelphia media market and the closely divided partisan registration. Congresswoman Schwartz has a well-deserved national reputation as one of America’s foremost healthcare policy experts. She has been actively working toward finding effective, innovative solutions to ensure that all Americans have access to quality, affordable health care for over 30 years, first in the private sector, then as a Pennsylvania state Senator, and now as a Member of Congress. Schwartz played a major leadership role in helping to ensure that health reform legislation was built on a centrist model of public-private partnerships. Schwartz authored several key provisions of the health care law passed this year, including increasing access to primary care, banning pre-existing conditions exclusions and allowing young adults to remain on their parent’s health coverage. The Co-Chair of the Congressional Academic Medicine Caucus, Schwartz introduced legislation to create Healthcare Innovation Zones, which would allow teaching hospitals, physicians and communities to develop new strategies to deliver cost effective, efficient medical services, reducing overall expenditures on health care. Schwartz has made investment in innovative, lifesaving, biotechnology a priority. A leader in Congress on these issues, Schwartz successfully advocated for the inclusion of the Qualified Therapeutic Tax Credit in the Affordable Care Act in 2010. This tax credit will create additional investment in this important research while creating jobs in Southeastern Pennsylvania and across the country. In addition to potentially finding new treatments for disease, biotechnology is a leading driver of the economy in Southeastern Pennsylvania. Schwartz has a solid record of leadership on health IT policy. Congresswoman Schwartz also authored and worked to pass groundbreaking legislation to modernize medicine in America. Her bill on e-prescribing, ensures that America moves forward to greater use of electronic prescriptions, which will help prevent 1.5 million medical errors per year. and worked to help see that a nearly $20 billion investment in health information technology was included in the American Recovery and Reinvestment Act. As a Pennsylvania state Senator, Schwartz led the drive to create the Pennsylvania's Children's Health Insurance Program (CHIP), which has served as a national model for expanding access to health insurance to children of middle and working class families. In Congress, Schwartz led the charge to strengthen CHIP to cover 11 million additional children, and stood with President Obama as he signed this important legislation in 2009. Schwartz serves as the Co-Chair of the New Democrat Coalition’s Health Care Task Force. Schwartz now serves as Vice Ranking Member of the Budget Committee. On the Budget Committee, she has been a vocal proponent for responsible and disciplined federal budgeting, and investing in the future of our nation. She is outspoken on the critical need for balanced federal budget in which we make important and effective investments in our nation’s infrastructure, innovation, and education, while ensuring that we make the tough and necessary choices required to pay down the deficit. In addition, Congresswoman Schwartz was appointed to serve on the Foreign Affairs Committee for the 112th Congress. The Committee has jurisdiction over a range of critical issues such as foreign aid, the deployment of armed forces, war powers and treaties, and the protection of Americans overseas. She serves on the Subcommittees on Terrorism, Nonproliferation and Trade and the Subcommittee on the Middle East and South Asia. Congresswoman Schwartz completed her second term as a member of the Committee on Ways and Means in the 111th Congress, and played a critical role in discussions of issues ranging from tax and trade to Medicare and Social Security. Congresswoman Schwartz has a lengthy record of legislative accomplishments. In addition to her prominent work in healthcare, she is actively engaged in promoting innovative solutions to ensure that America can lead in a 21st century global economy. She has been outspoken on the need for corporate tax reform and for a permanent research and development tax credit. Schwartz’s legislative proposals have included tax deductions for energy efficient commercial buildings, tax incentives for rehabilitating and preserving historic buildings, helping cities to implement job-creating green infrastructure initiatives and an expansion of the Child Care Tax Credit for middle income families. She has been instrumental in strengthening and growing the biotechnology industry, a vital sector that continues to create jobs in southeastern Pennsylvania. The daughter of a Korean War veteran, Schwartz strongly supports America’s veterans and works to ensure that they have the healthcare and family support they deserve. Schwartz’s first Congressional bill, a plan providing tax credits to businesses hiring Iraq and Afghanistan war veterans, passed Congress in 2007 with bipartisan support and today helps businesses be able to hire veterans. Congresswoman Schwartz has a deep and personal commitment to Israel, inspired in large part by the experiences of her mother, a Holocaust survivor. She has led numerous Congressional efforts to strengthen America’s relationship with Israel. 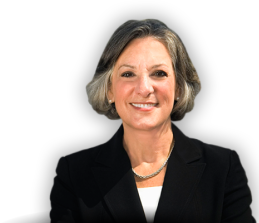 In addition to her membership on the Foreign Affairs Committee, Schwartz is a member of the Democratic Israel Working Group and the U.S. Israel Security Caucus. In 2006, the National Jewish Democratic Coalition awarded Schwartz the Golda Meir Award for her political accomplishments. Schwartz serves as Vice Chair of the centrist New Democrat Coalition, and serves as Co-Chair of the NDC Health Care Task Force. She is engaged in promoting NDC’s interest in Congressional action to strengthen our nation's economic competitiveness through pro-economic growth policies, such as innovation, support for education, and fair trade policies. Schwartz is one of the most successful female elected officials in Pennsylvania history. She has repeatedly broken new ground in the state’s political structure, starting when she became just the third women to serve in the Pennsylvania State Senate in 1991. She is currently the only woman in the 19-member Pennsylvania congressional delegation and the only Jewish member in either federal legislative body from Pennsylvania. A proven political leader, House Democratic leadership has appointed Schwartz to serve as National Recruitment Chair of the DCCC. Previously, Schwartz helped to lead two national initiatives: Women LEAD, to support female congressional candidates from across the country in 2007; and Red to Blue, to actively support strong Democratic candidates in Republican leaning districts. Schwartz is a graduate of Simmons College and holds a Master’s Degree from Bryn Mawr College. Her husband of over 30 years, David Schwartz, is a prominent Philadelphia cardiologist. They have two adult sons, Daniel and Jordan. Schwartz and her family are active members of their local synagogue. Click here to learn more about Pennsylvania’s 13th Congressional District!